Melissa Mays, a founder of Water You Fighting For, does laundry at a laundromat in Flint Township, Michigan on November 22, 2016. 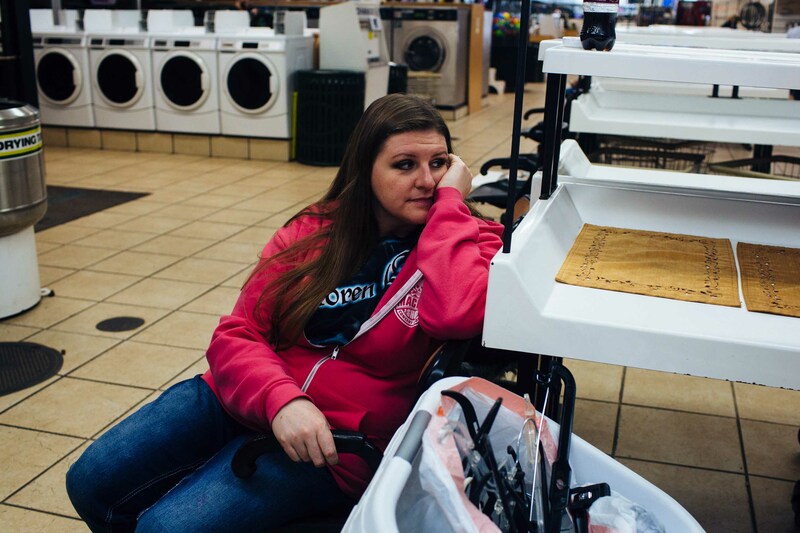 Mays and her husband, Adam, can't use the washing machine in her home due to the contaminated water, and must travel to a laundromat in Flint Township to do their laundry once a week. Flint Township, unlike Flint city, never made the switch from Detroit water to Flint water, and thusly were able to avoid contamination. Mays says she spends upwards of $40 per week doing laundry.